When you visit a new country, have you ever wished you could glimpse inside a real home, maybe even be invited to dinner? 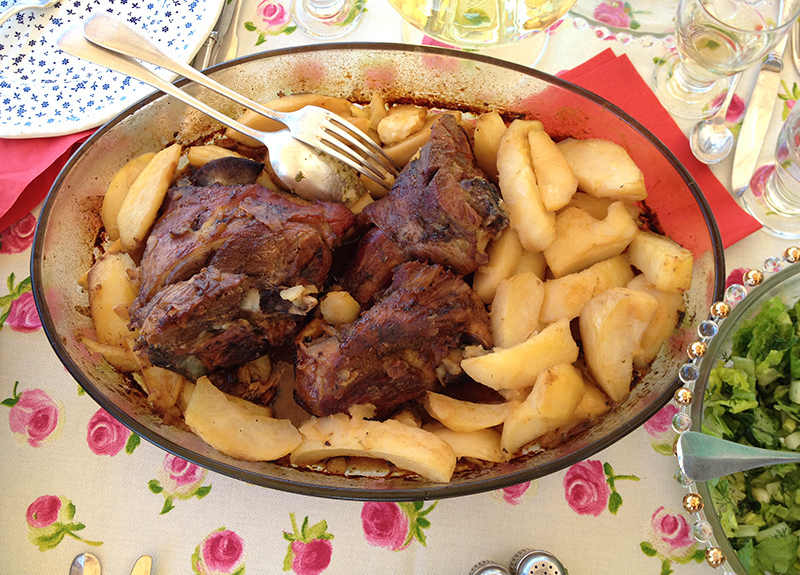 That’s just what we were able to do in Athens, Greece with the Alternative Athens Home Cooked Meals tour. We were taken to a typical Athenian residential neighbourhood where our gracious host, Eleni, along with her husband, welcomed our group into their home. They gave us a tour of their balcony, which has fantastic views over the city and the Acropolis. 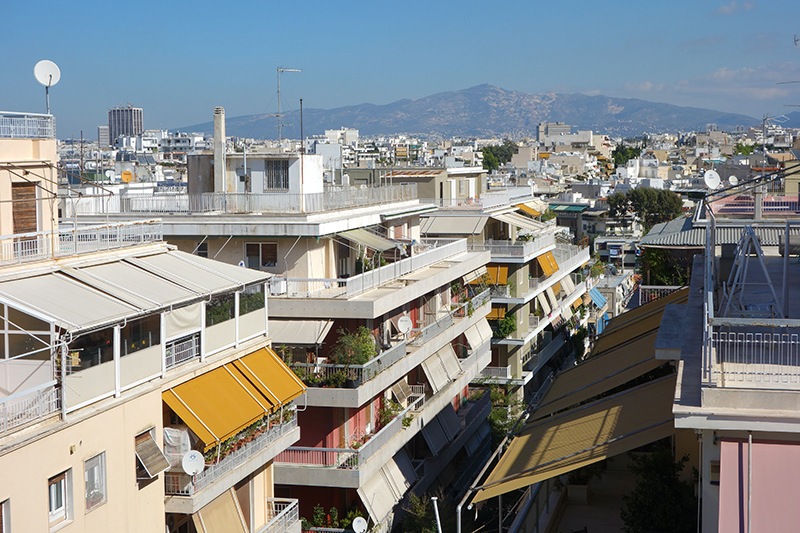 Athenian neighbourhood with large balconies to enjoy the sunny climate. Athenians love their large balconies so they can enjoy the warm Greek climate. We would be dining al fresco as they often do, and the tables were set with pretty table cloths and china. Soon we sat down to enjoy Eleni’s delicious home cooking. 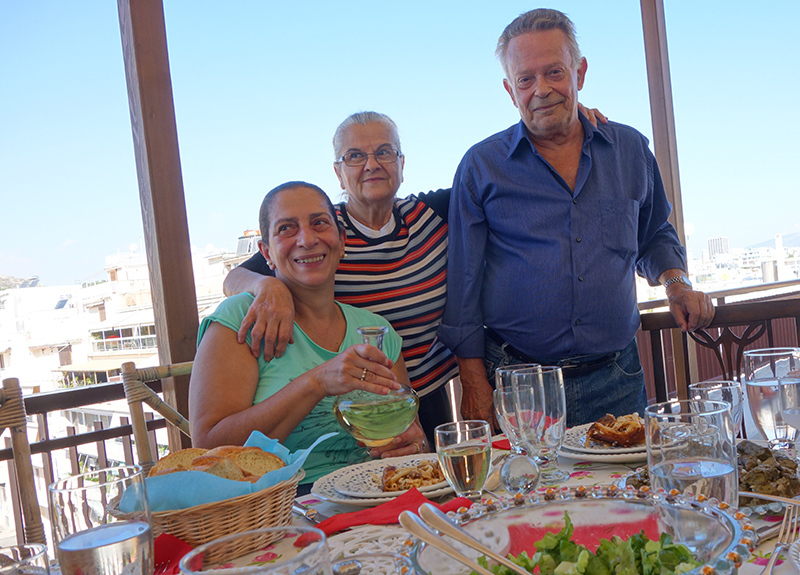 She first brought out brought out bread and Melitzanosalata, a delicious eggplant dip, while her husband served us each ouzo, the Greek anise-flavoured liqueur. Next we had Giaprakia, vine leaves stuffed with rice, and a lettuce salad lightly dressed with lemon juice and olive oil. After this came the main course, which was delicious leg of lamb that had roasted slowly in the oven with lemon, garlic and potatoes. Eleni is a great cook and she didn’t mind sharing advice how to make the dishes she was serving. Eleni (left) with her friend and husband. The meal was accompanied by a refreshing Greek white wine called Savatiano. 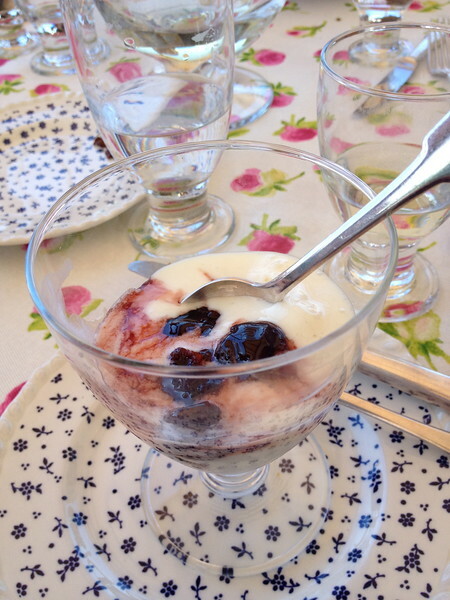 For dessert was a fruit platter and Greek ice cream topped with cherry syrup. Over the meal, Eleni told us about her life in Athens, and we had a chance to talk with the other guests as well. When it was time to leave, it was like we were saying goodbye to good friends. It was wonderful to have this authentic experience in today’s Athens. 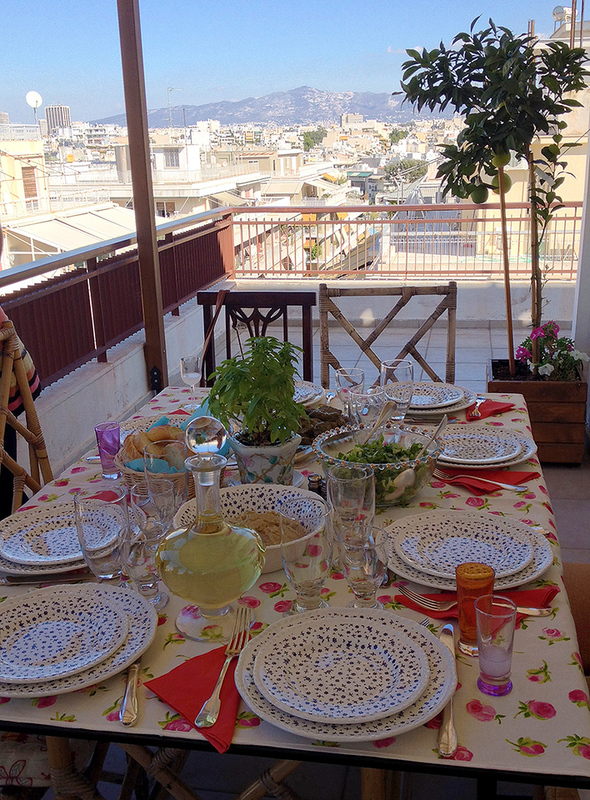 If you would like to experience authentic Greek hospitality as we did, I would highly recommend this Alternative Athens Home Cooked Meal tour. Thanks to Alternative Athens for facilitating this experience. As always, opinions are my own.